Premier Ed Stelmach blamed the teachers' union Monday for the budget problems that have prompted Alberta school boards to lay off staff. Stelmach says the government tried unsuccessfully this year to work out a deal with the Alberta Teachers' Association to reduce or even freeze teachers' salaries until the economy recovered. "We want to keep everyone's jobs. Unfortunately the union took a little different position and as a result instead of jobs continuing, they went for raises. 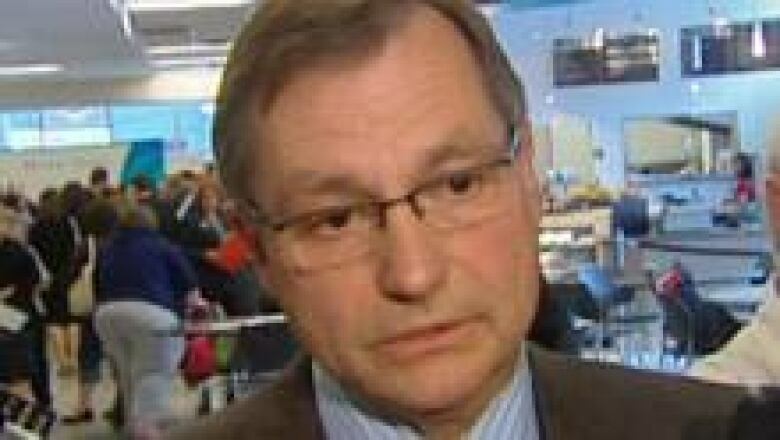 So it's not a situation that I appreciate or want to be in," Stelmach said. "As a result now, some teachers, especially temporary teachers, will not have a job." Education funding increased in this year's provincial budget but most of the increase will cover a previously-negotiated 4.5 per cent pay increase in teachers' salaries. The increase was part of the five-year collective bargaining agreement the province reached with the ATA in 2007. ATA President Carol Henderson said she was shocked and surprised by Stelmach's remarks. "The premier's providing incorrect information to the media, to the public," Henderson said. "There was never an offer for us to consider, so we were never given an opportunity to choose anything. The government walked away from the table when Mr. Stelmach indicated that he was going to resign." The government called off talks with the ATA on Jan. 28, one day after former Finance Minister Ted Morton announced he was running to replace Stelmach as Alberta Progressive Conservative Party leader. Premier Ed Stelmach blames the Alberta Teachers' Assocation for teacher job losses. (CBC)Education Minister Dave Hancock said then that the government had run out of time and could not meet the deadline for finalizing the provincial budget. But it was widely speculated that Tories walked away from the talks because they did not want a controversial political issue hanging over Morton or anyone else running to become PC party leader. Since then, school boards have struggled to balance their budgets. The Edmonton Public School Board announced last week that 229 teaching and 115 non-teaching positions will have to be cut in response to a $14-million deficit. The Calgary Public School Board is cutting 172 teaching and support positions to eliminate a $61.7 million deficit. The ATA has estimated there will be 1,000 fewer teaching positions in Alberta during the next school year.